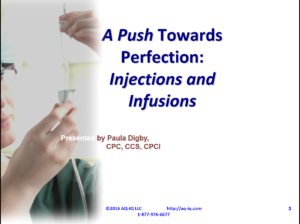 In this course the student will learn of the background regarding injections and infusion services as well as the documentation requirements. Reporting the services and the most common coding and billing trouble spots are addressed. Although many changes took place in 2006, providers are still experiencing revenue risk in this daunting area. 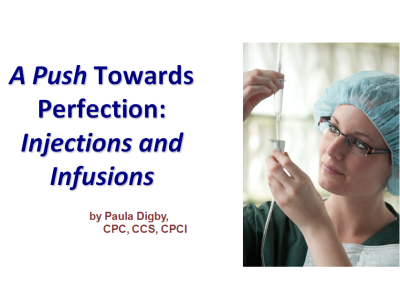 Case studies are presented for insight on what it takes on the front end to be prepared to defend claims including injection and infusion services and win one’s defense.